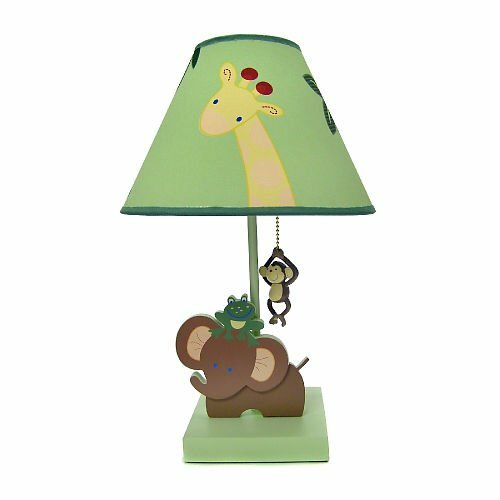 The NoJo Jungle Babies Lamp and Shade is made to coordinate with the Jungle Babies Collection. 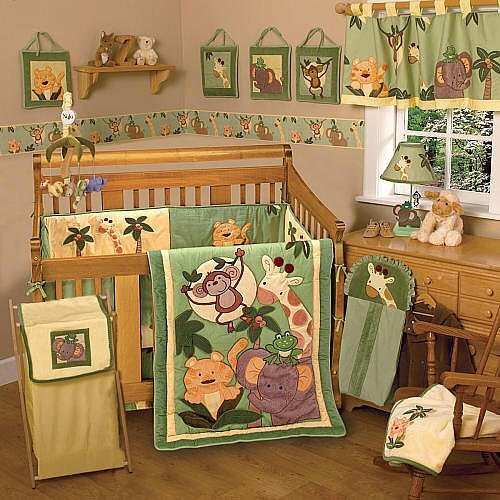 A charming menagerie of jungle animals are brought to life in the Jungle Babies Crib Bedding Collection. Cool-tone fabrics in green and yellow combine with textured fabrics to create a fun jungle atmosphere for your nursery. Your baby will feel like he is on an African safari in this collection. NoJo is a high-fashion baby bedding, baby blankets and baby accessories brand that designs products for today's modern parents. NoJo offers "only the best for baby" and the NoJo name has come to represent quality, originality and comfort throughout the baby products industry. NoJo baby bedding, baby blankets and baby accessories are manufactured by Crown Crafts Infant Products.